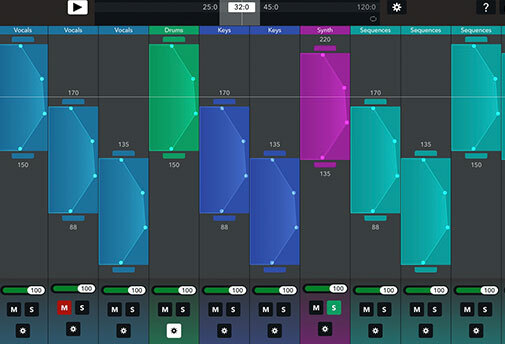 Weav is an interactive music mixing platform that was announced today by UK-based startup Cute Little Apps. The app was created by Lars Rasmussen and Elomida Visviki. Rasmussen previously co-created Google Maps and Google Wave before going on to become Facebook’s Director of Engineering. Weav aims to change the way music is made and listened to. Music created using the platform will allow listeners to adjust the tempo, without warping the track. This is possible because musicians who use Weav have to record different parts of their songs at different speeds. The result is that anyone listening has the option to change the BPM and Weav will automatically blend the sound. For listeners, there is a digital player that the company says can be embedded in third-party apps. From the video above, you can see plans for Weav to be able respond to your heartbeat and adjust music speeds so match your activities. Weav is still in beta, but to demonstrate how the service works, it has released tracks from musicians such as Dean Gillard and PhilYesPhil. Musicians can sign up to try the desktop app.